Collaboration is more than cooperation or operating side by side. It requires risk-taking and a willingness to connect that involves both ‘offering’ and ‘yielding’. Play. It brings such joy and catharsis. 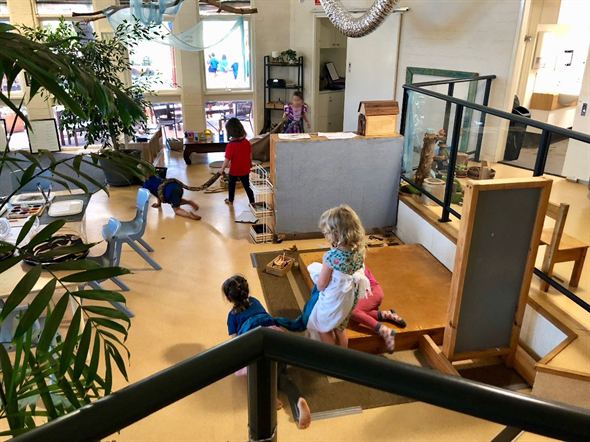 It cements lifelong friendships and opens creative possibilities for wondering and learning that extend way beyond the imagination of teachers or the knowledge housed in books. Play can also bring tears of confusion and disappointment, experiences of jealousy and loneliness. Big, strange and new emotions. 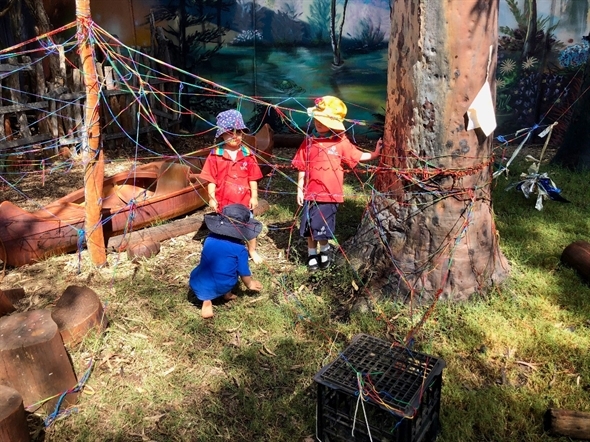 Play grows self-regulation skills and builds resilience but the journey can feel tough at times. 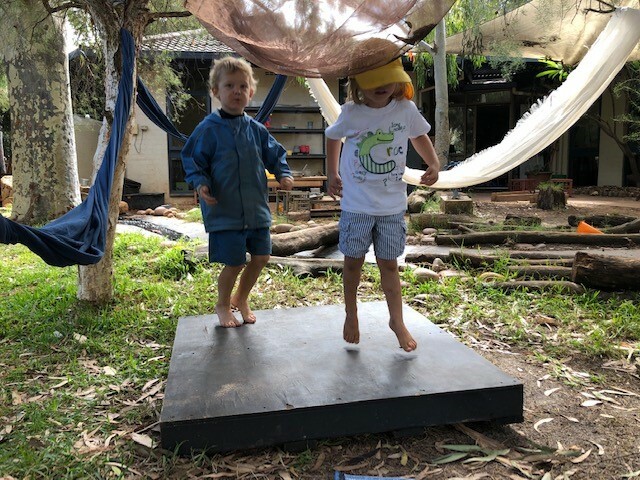 Play is not something that we leave the children to work out for themselves, although ultimately the goal is that they won’t need us adults to be supervising and supporting so much. 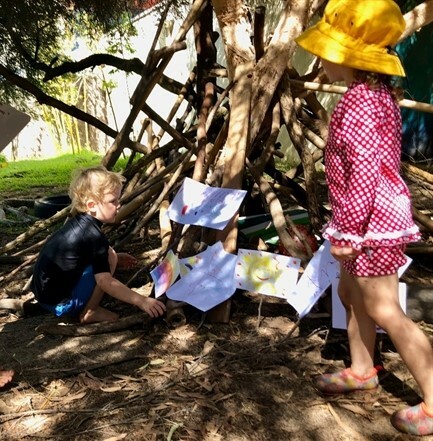 Mature, rich, sophisticated role play, the best context for social emotional, cognitive and physical growth that a child could every encounter, evolves when children know and trust each other, have rituals in place and agreed upon boundaries (sometimes negotiated spontaneously and temporarily) for a particular game. 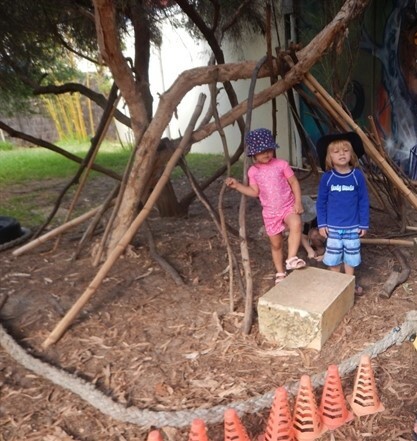 Collaborative play is a destination for the children in our Kindy class. Right now we are just beginners. The children are practising players at present. 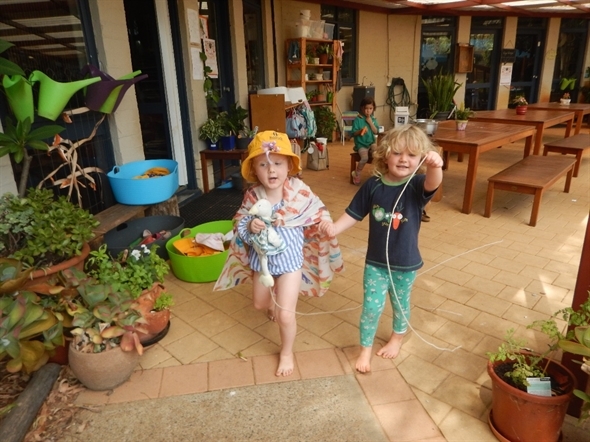 They are getting to know each other through structured games and free role-play. 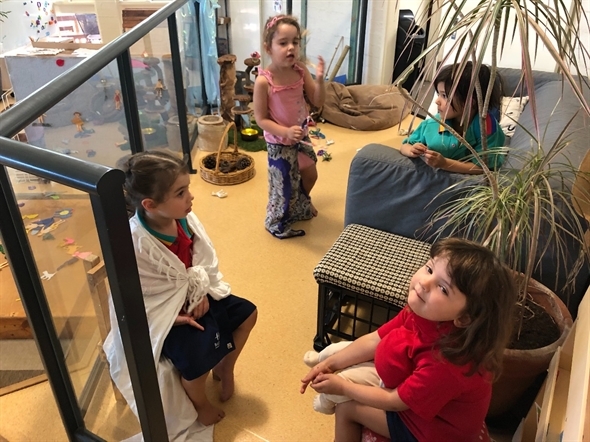 Observing our own Kindy class engaging in role play we can see there are clear leaders, storytellers in the group who take charge and direct the action. These are children comfortable with taking the risk to ‘invite’ others into their imagined scenarios. There are also the ‘watchers’ observing from the sidelines, shy but fascinated. They might not yet have the confidence to voice their own ideas yet but they take up an essential role in the process of collaboration, they are willing to yield to the direction of others. The children are happy to invite adults into their play. It is one of the joys of being a teacher of four year olds. 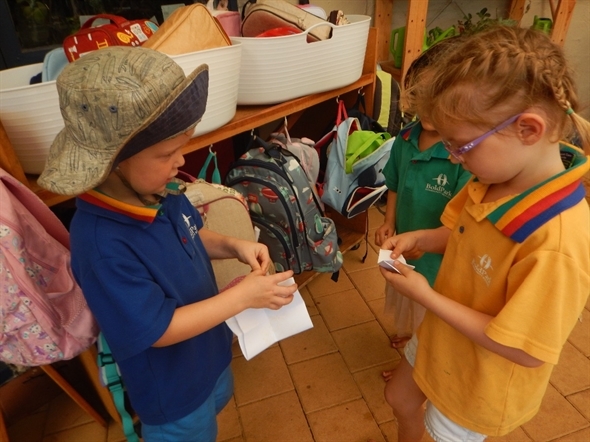 The children welcome adult input and are astute observers, learning from adult role modelling. They watch how an adult puts new ideas forward, how an adult handles rejection of ideas, how an adult improvises around roadblocks and perseveres, uses humour and communicates with clarity to restore harmony. 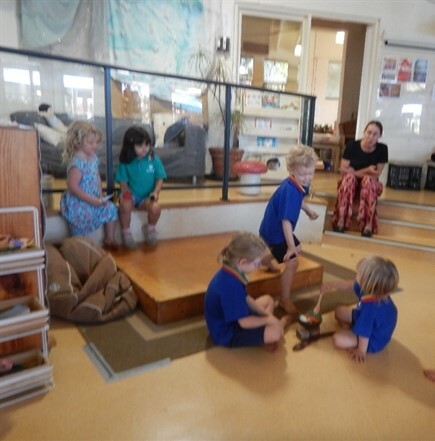 This week I have had the joy of playing at Kindy. I’ve been the mum of sick pets, sitting in the waiting room with my kittens and puppies (one student kindly offered me a book from the shelf to read while I waited for her as Doctor to be ready!). I have played mum in the café, getting pets breakfasts and putting puppies and butterflies into bed for a rest. I’ve been invited into the ‘Happy House’ cubby where the rules kept changing, first ‘no boys’ then ‘everyone allowed’ then ‘only children’. It was clear that as the local giant I was not going to fit inside anyway! In past weeks I have been the Tiger Who Came to Tea and a little pig in a playground hide and seek version of The Three Pigs. When the play is up and running I have the power to invite bystanders into the scenarios. I extend invitations and encourage the children who are shy and observing to jump in and take a part. I encourage the children who are taking the lead to take a breath, to listen to other people’s ideas and risk handing over the lead to others every now and then. And when the moment is right, I have stepped aside, blending into the background to let the children play. Bold Park Community School staff were treated to a very practical and enlightening Professional Development session this week with Dr Miranda Jefferson and Jamie Gerlach (https://www.4ctransformativelearning.org/our-team). The 4C’s team led us in an examination of what it takes for collaboration to happen for both children and adults. Collaboration is more than cooperation or operating side by side. It requires risk taking and a willingness to connect that involves both ‘offering’ and ‘yielding’. For the Early Childhood teachers attending the session, so much of what was being discussed felt and looked like young children’s play! 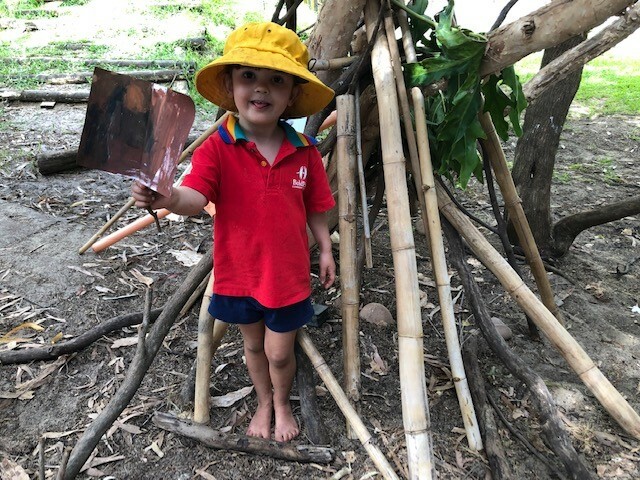 It was amazing to realise that many Kindy children will reach a level of collaboration in their play by the end of this year that adults in the corporate world would envy and admire!